We will say right here and now, even if it harelips the governor, that this is the most under-appreciated State Historic Site in the system. Although short on activities, it should be famous if only for it's overlook of La Grange and the Colorado River. Architecturally it has the ruins of the Kreische Brewery and the restored Kreische home, both hand built by Heinrich Kreische and made from locally quarried stone. 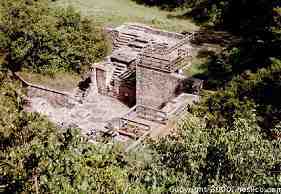 The main attraction is the burial vault of the men of the Dawson and Mier Expeditions. This footnote to Texas History is perhaps the biggest single event to influence Mexican-Republic of Texas-United States relations and was a major factor in the annexation of Texas to the United States. 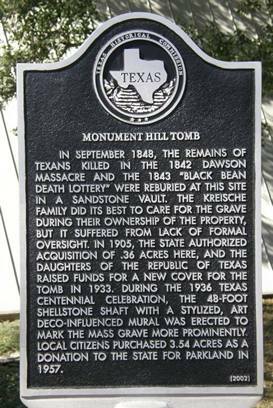 In September 1848, the remains of Texans killed in the 1842 Dawson Massacre and the 1843 "Black Bean Death Lottery" were reburied at this site in a sandstone vault. The Kreische family did its best to care for the grave during their ownership of the property, but it suffered from lack of formal oversight. 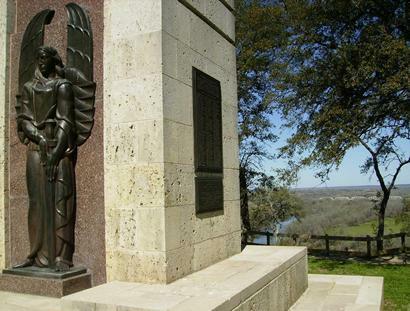 In 1905, the state authorized acquisition of .36 acres here, and the Daughters of the Republic of Texas raised funds for a new cover for the tomb in 1933. 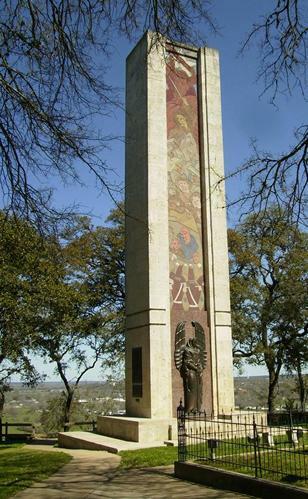 During the 1936 Texas Centennial celebration, the 48-foot shellstone shaft with a stylized, Art Deco-influenced mural was erected to mark the mass grave more prominently. Local citizens purchased 3.54 acres as a donation to the state for parkland in 1957. 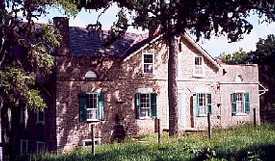 German immigrant Heinrich Kreische (1821-1882) purchased nearly 175 acres of property in Fayette County in 1849. 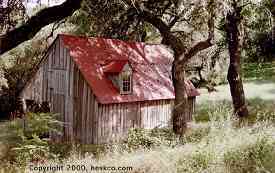 A stonemason by trade, he built a house, barn and smokehouse here on the high south bluff above the Colorado River. 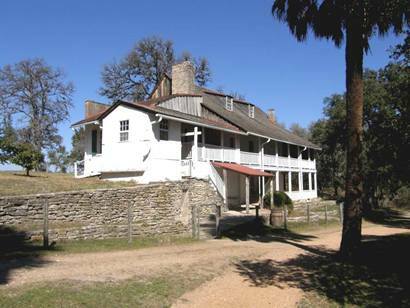 In the 1860s, Kreische began brewing Bluff Beer near his homesite. Situated on the spring-fed creek, the brewery included an elaborate tunnel system to provide temperature control for the brewing process. 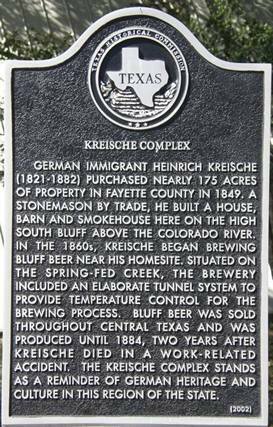 Bluff Beer was sold throughout Central Texas and was produced until 1884, two years after Kreische died in a work-related accident. The Kreische complex stands as a reminder of German heritage and culture in this region of the state. Two exceptional books are available at the park's gift shop/museum dealing with this misguided foray into Mexico in 1842. "Soldiers of Misfortune" by Sam W. Haynes, and a 60.00 tome which could substitute for a blunt instrument is there for the more than amateur historian. The author died before finishing the book but his notes were edited and a second volume is planned. We've heard many Mexicans say that Santa Anna's most noted accomplishment was not selling the rest of Mexico to the United States. 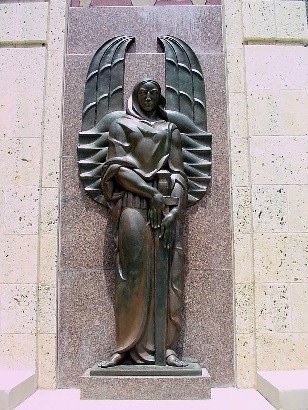 It's interesting to note that Texas' favorite villain had a compassionate side. Recognizing a familiar name on the list of prisoners from the Mier Expedition, Santa Anna asked if the prisoner was related to the Doctor who had pumped his (Santa Anna's) stomach after his attempted suicide during his captivity. When informed "yes," he immediately signed his release and sent him back to Texas but only after entertaining him in his home for two weeks. He also offered to adopt the youngest member of the Mier Expedition, and after the boy checked with his father (also a prisoner) a deal was struck and John C.C. 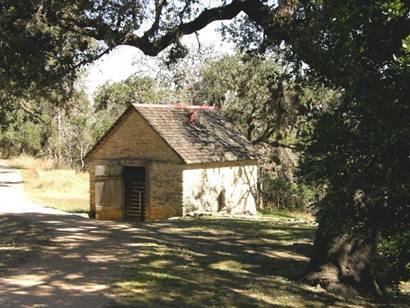 Hill became the adopted son of Santa Anna. His Father and brother were released and went back to Fayette County. John learned Spanish, was sent to the prestigious College of Mines and became a civil engineer. He had a life that was several rungs up the social ladder from his poor Fayette County family and occasionally visited the U.S. before he died in Mexico in 1909. Lice and typhus were two things that the Mexicans couldn't control and the guards suffered alongside the prisoners. Strangely, personal property was respected and prisoners who had money could buy soap, tobacco and Mescal. Used chewing tobacco was dried and sold at half price. After it's second incarnation it was shredded and smoked in pipes. 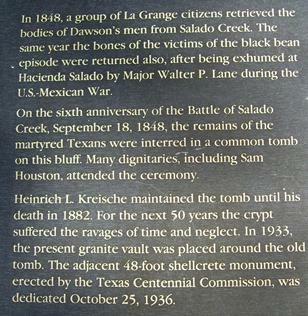 The names of many participants, whether they survived or not, should be familiar to Texans, native or naturalized. Brenham, Cameron, Daingerfield, Eastland, Hays, Hockley, Sommervell and Wallace, just to mention a few. Invasion, mutiny, racism, insubordination, survival, imprisonment and pestilence - there's something for everyone. After the prisoners were captured, word was sent from Mexico City to execute them all. Not wanting to provoke another war, it was decided to kill every 10th prisoner. This was arranged by conducting a lottery of white and black beans. Although this is referred to as the "Infamous Black Bean Episode", we find it pretty democratic, although they had the officers draw their beans first which wouldn't sit well with today's military. If you enter La Grange from the north, east or west, you'll pass through downtown La Grange (one block from the intersection of 71B and Hwy 77). 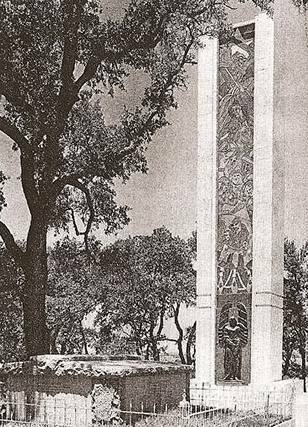 On the NE corner of the square you'll see the Muster Oak under whose branches the men of the Somervell/Mier expedition were sworn in. 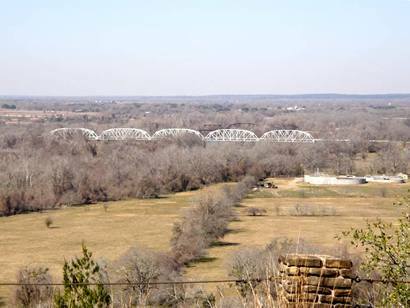 This may mean nothing to you now, but after visiting Monument Hill you will understand its significance. This is one of the "Famous Trees of Texas" and while many are in their decline, the Muster Oak looks healthier than it did in photographs from the 1940s. As you leave La Grange on Hwy 77 South, the road starts to climb and wind immediately after crossing the Colorado River. When you reach the top, the road to the right will take you the 2/10ths of a mile to Monument Hill State Park. This is SPUR 92. There is no light at the top, so be careful.